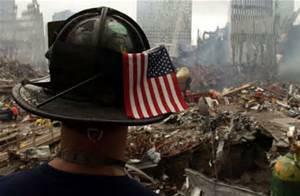 Today marks the 17th anniversary of the September 11th, 2001 terrorist attacks on America. 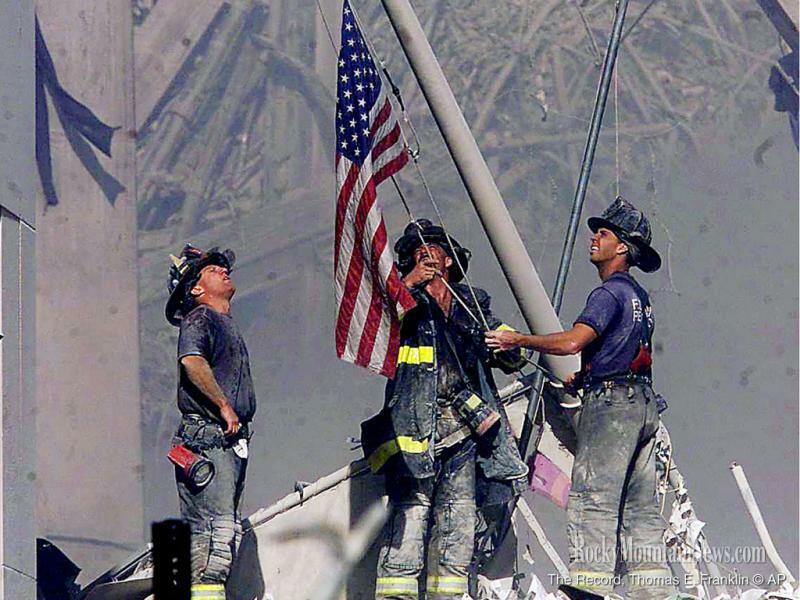 Designated by President Bush as Patriot Day, we again reflect on those who lost their lives that day and the unselfish bravery of the first responders and strangers who risked their lives to help others in New York, Washington DC, and Shanksville, Pennsylvania. 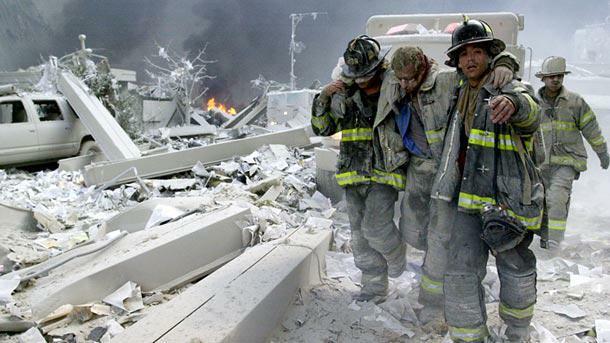 2,977 innocent men and women died in this terrorist attack...including 343 firefighters. The number 343 symbolizes the dedication of all firefighters, standing for our fallen brothers and sisters on that horrific day. It's painted on fire trucks, printed on gear and instilled in our minds. It was the biggest day in terms of total firefighters killed in the line of duty. 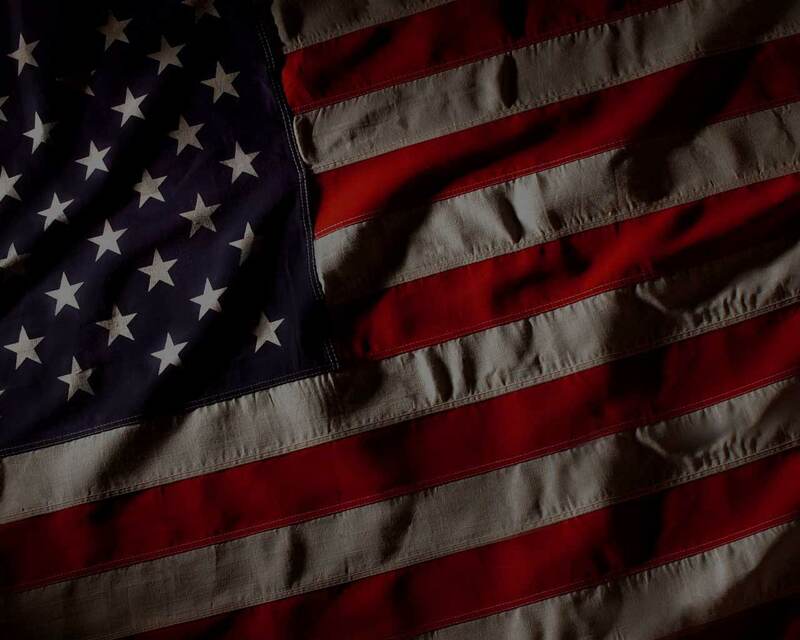 Everyone please pause for a moment of silence today, fly the American flag proudly, and thank a firefighter, EMS provider, police officer, or military member. We do this in honor of those who lost their lives on 9/11, their families, friends and loved ones who continue to endure the pain, and for those who today are fighting at home and abroad to preserve our cherished freedoms. Below is a chronology of the events of 9/11 as they unfolded. All times are Eastern Daylight Time (EDT). • 7:59 am – American Airlines Flight 11, a Boeing 767 with 92 people aboard, takes off from Boston's Logan International Airport en route to Los Angeles. • 8:14 am – United Airlines Flight 175, a Boeing 767 with 65 people aboard, takes off from Boston; it is also headed to Los Angeles. • 8:19 am – Flight attendants aboard Flight 11 alert ground personnel that the plane has been hijacked; American Airlines notifies the FBI. • 8:20 am – American Airlines Flight 77 takes off from Dulles International Airport outside of Washington, D.C. The Boeing 757 is headed to Los Angeles with 64 people aboard. • 8:24 am – Hijacker Mohammed Atta makes the first of two accidental transmissions from Flight 11 to ground control (apparently in an attempt to communicate with the plane's cabin). 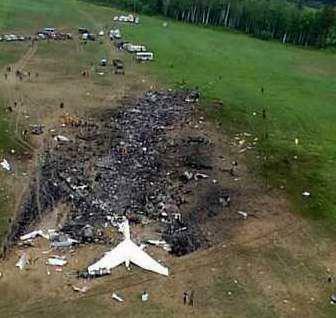 • 8:40 am – The Federal Aviation Administration (FAA) alerts North American Aerospace Defense Command (NORAD)'s Northeast Air Defense Sector (NEADS) about the suspected hijacking of Flight 11. In response, NEADS scrambles two fighter planes located at Cape Cod's Otis Air National Guard Base to locate and tail Flight 11; they are not yet in the air when Flight 11 crashes into the North Tower. • 8:41 am – United Airlines Flight 93, a Boeing 757 with 44 people aboard, takes off from Newark International Airport en route to San Francisco. It had been scheduled to depart at 8:00 am, around the time of the other hijacked flights. • 8:47 am – Within seconds, NYPD and FDNY forces dispatch units to the World Trade Center, while Port Authority Police Department officers on site begin immediate evacuation of the North Tower. • 8:50 am – White House Chief of Staff Andrew Card alerts President George W. Bush that a plane has hit the World Trade Center; the president is visiting an elementary school in Sarasota, Florida at the time. • 9:02 am – After initially instructing tenants of the WTC's South Tower to remain in the building, Port Authority officials broadcast orders to evacuate both towers via the public address system; an estimated 10,000 to 14,000 people are already in the process of evacuating. • 9:08 am – The FAA bans all takeoffs of flights going to New York City or through the airspace around the city. • 9:21 am – The Port Authority closes all bridges and tunnels in the New York City area. • 9:24 am – The FAA notified NEADS of the suspected hijacking of Flight 77 after some passengers and crew aboard are able to alert family members on the ground. • 9:31 am – Speaking from Florida, President Bush calls the events in New York City an "apparent terrorist attack on our country." 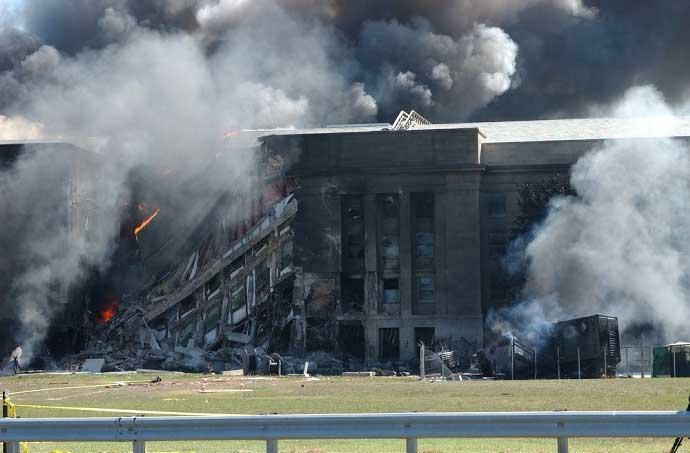 • 9:37 am – Hijackers aboard Flight 77 crash the plane into the western façade of the Pentagon in Washington, D.C., killing 59 aboard the plane and 125 military and civilian personnel inside the building. • 9:42 am – For the first time in history, the FAA grounds all flights over or bound for the continental United States. Some 3,300 commercial flights and 1,200 private planes are guided to airports in Canada and the United States over the next two-and-a-half hours. • 9:45 am – Amid escalating rumors of other attacks, the White House and U.S. Capitol building are evacuated (along with numerous other high-profile buildings, landmarks and public spaces). • 9:59 am – The South Tower of the World Trade Center collapses. • 10:07 am – After passengers and crew members aboard the hijacked Flight 93 contact friends and family and learn about the attacks in New York and Washington, they mount an attempt to retake the plane. 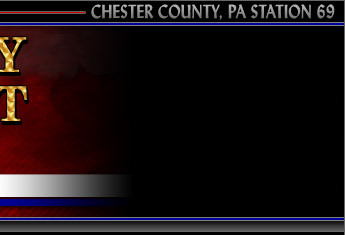 In response, hijackers deliberately crash the plane into a field in Somerset County, Pennsylvania, killing all 40 passengers and crew aboard. 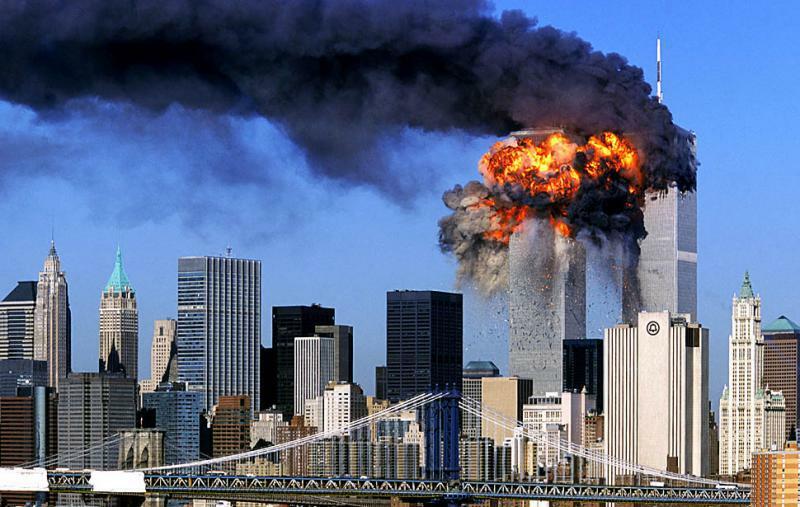 • 10:28 am – The World Trade Center's North Tower collapses, 102 minutes after being struck by Flight 11. • 11 am – Mayor Rudolph Giuliani calls for the evacuation of Lower Manhattan south of Canal Street, including more than 1 million residents, workers and tourists, as efforts continue throughout the afternoon to search for survivors at the WTC site. • 1 pm – From a U.S. Air Force base in Louisiana, President Bush announces that U.S. military forces are on high alert worldwide. • 2:51 pm – The U.S. Navy dispatches missile destroyers to New York and Washington, D.C.
• 5:20 pm – The 47-story Seven World Trade Center collapses after burning for hours; the building had been evacuated in the morning, and there are no casualties, though the collapse forces rescue workers to flee for their lives. • 6:58 pm – President Bush returns to the White House after stops at military bases in Louisiana and Nebraska. • 8:30 pm – President Bush addresses the nation, calling the attacks "evil, despicable acts of terror" and declaring that America, its friends and allies would "stand together to win the war against terrorism."